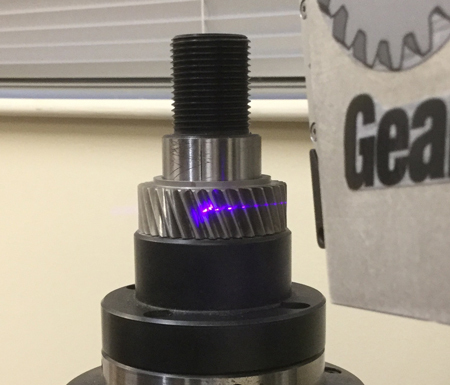 Combining the technical synergies of a laser company, a gear measurement company, and a software development company resulted in the development of an innovative product that is a game-changer in the way gear defects can be detected — non-contact involute profile measurement to microns in a matter of seconds. In 2012, Slone Gear International Inc. and Mound Laser Inc. began experimenting with combining laser technology with gear manufacturing and gaging knowledge to bring about non-contact measurement capability for additive manufacturing and gear applications. 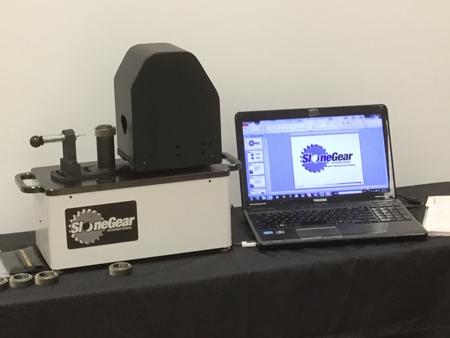 On May 20, 2014, Slone Gear was awarded a technology accelerator grant from the State of Ohio to help bring to market a revolutionary non-contact, laser-based gear measurement system. 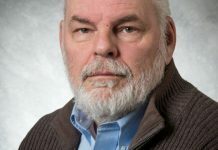 There were a dozen different technology companies competing for the accelerator grant funds, and Slone Gear was selected based on the revolutionary nature of the capability that was already being demonstrated. With the grant funds and an additional Slone Gear investment, the idea of GearVuTM was born. Slone Gear and Mound Laser worked together, using its laser-development lab in order to explore this new non-contact approach for measuring gears and powdered metal, 3D-printed products with a laser. In the end, the innovation process yielded a brand-new methodology for gear profile measurement and in-process powdered metal scanning. 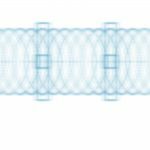 With the support from Slone Gear’s sister software development company, the innovative technology has been able to successfully demonstrate the ability to detect defects in a gear involute profile in comparison to its theoretical perfect form. Slone Gear has designed and built an inspection machine and has developed proprietary evaluation routines that can move this technology from a customer’s QC laboratory to measurements on the shop floor. 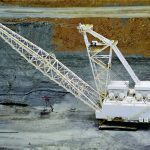 In fact, from day one, during this design effort, strong consideration was given to identifying aspects of the gaging system that needed to be “shop-hardened” so that the end product could be used in typical production environments. This eliminates continued maintenance costs of existing gear measurement devices that are not normally suited for in-line operation in a production environment. 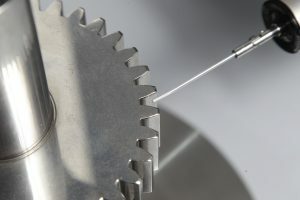 Demonstration trials have been completed with several major manufacturers of gears. 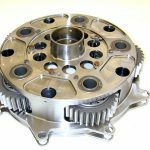 Gear defects can occur at all stages in the manufacturing process, and sometimes they are not detected until the gear makes its way into an end product such as a transmission assembly. 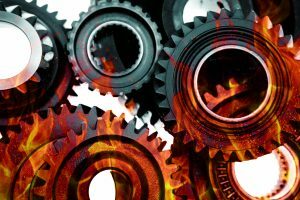 Once the deviated gear reaches that point, the costs and liabilities resulting from that deviation are magnified many times over the cost of the component. 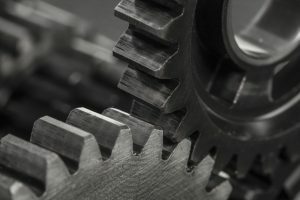 Cost, safety, and turnaround time are critical in gear manufacturing, and the goal has always been to detect issues as early in the process as possible. 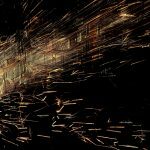 There must be a quality mechanism to minimize the chance of any non-conforming product leaving the manufacturer’s plant and making it into the finished product. 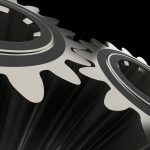 With continued pressure to reduce gear noise levels, increase durability, and improve overall dependability, the trend continues to be the production of gears with tighter involute form tolerances. Today, many gears being produced in a high-volume production environment require grinding with the final involute profile form meeting tolerances of less than 0.010 mm. The grinding wheel that produces this form must be completely free of defects and deviations in order to achieve this level of accuracy. During the grinding process, if any deviations in the grinding wheel form are present, profile form errors in the gear’s tooth flank can result. 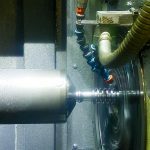 Sometimes, a localized section of the grinding wheel has sustained damage, which requires multiple dressing events to be eliminated. When this happens, a group of components may be manufactured with profile form deviation. These profile deviations can cause unacceptable gear noise in an assembly and an increase in scrapped inventory. 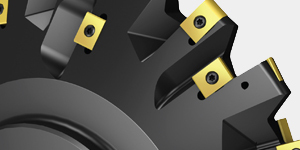 The typical magnitude of grinding wheel breakdown will cause profile errors of 0.010 mm and up to 0.100 mm and beyond. Individually inspecting and measuring every component that comes off the gear grinder with the traditional analytical approach would add production time, and subsequently cost, to the process. Until now, it has simply not been possible to achieve 100-percent inspection of gear tooth profiles in a high-volume production environment with analytical machine accuracies. 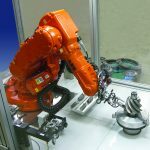 Equivalent measurements to those achieved through traditional analytical inspection can now be achieved on the shop floor, in real time, and for 100 percent of the parts being produced. The new Slone Gear laser-based process can detect profile form variation on the shop floor in seven seconds or less, on 100 percent of the parts coming down the line. 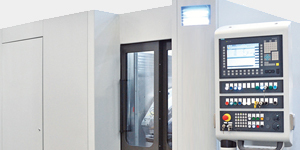 This capability can address form deviations coming from gear grinding machines as well as those incurred with other gear manufacturing processes. 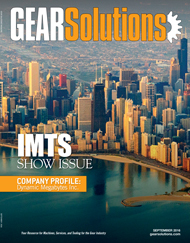 This innovative non-contact approach has opened the door to a new way of viewing gear tooth defects, deviations, and measurements. 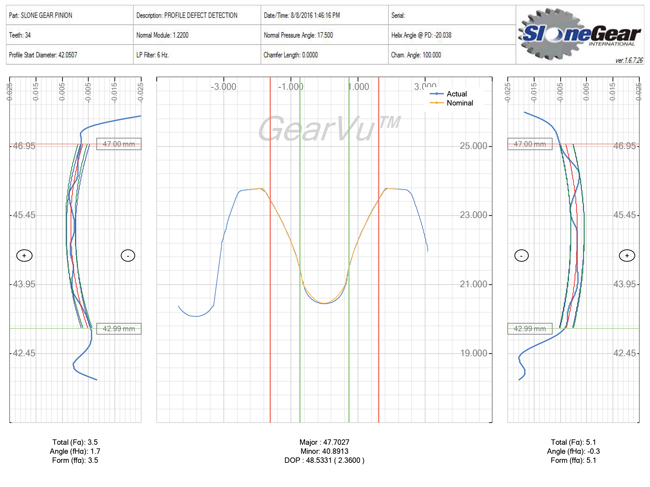 Slone’s new software package, GearVuTM, has the ability to identify and measure involute profile form variation down to the micron level utilizing laser technology. 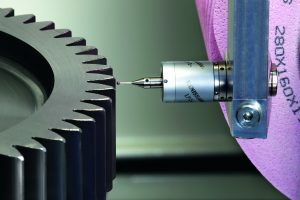 The key to measuring gears with lasers starts with the ability to access the full surface of the gear and then manipulate the alignment of the laser with respect to the gear datums. The theoretical perfect gear is created within the proprietary software and then compared to the actual data cloud from the laser to within a 2-3 micron (0.002-0.003 mm) resolution. This new laser inspection process has the ability to measure the critical areas of a gear tooth, from the major diameter of the gear tooth proceeding down the involute through the root and back up the adjacent involute to the major diameter of the adjacent tooth. In other words, this new innovation has the ability to see the root form and evaluate tip diameters and tip chamfers without having to do additional special measurement routines on other equipment. 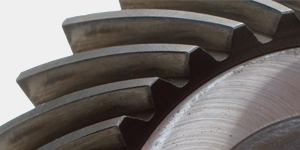 Given that the critical working area of a gear is between the major diameter and the root diameter of the gear tooth, GearVuTM is designed to evaluate this portion of the gear as quickly and comprehensively as possible allowing for 100 percent of production parts to be screened. What makes this new approach so innovative is the new leading-edge software that gives the user a visual reference of where on the gear the defects are located with respect to the major/minor diameters and on which flank. 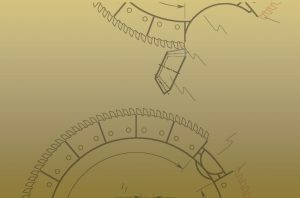 The gear tooth profile form is described and charted in seconds. The analysis output is a combination of an intuitive “tip through root” profile chart with traditional analytical profile charts flanking the laser results (see Figure 1). 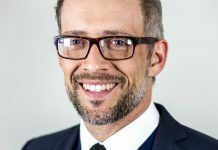 Lasers have been considered for gear measurement for the past 30 years, but were not capable of measuring highly reflective parts with micron-level accuracy until now. 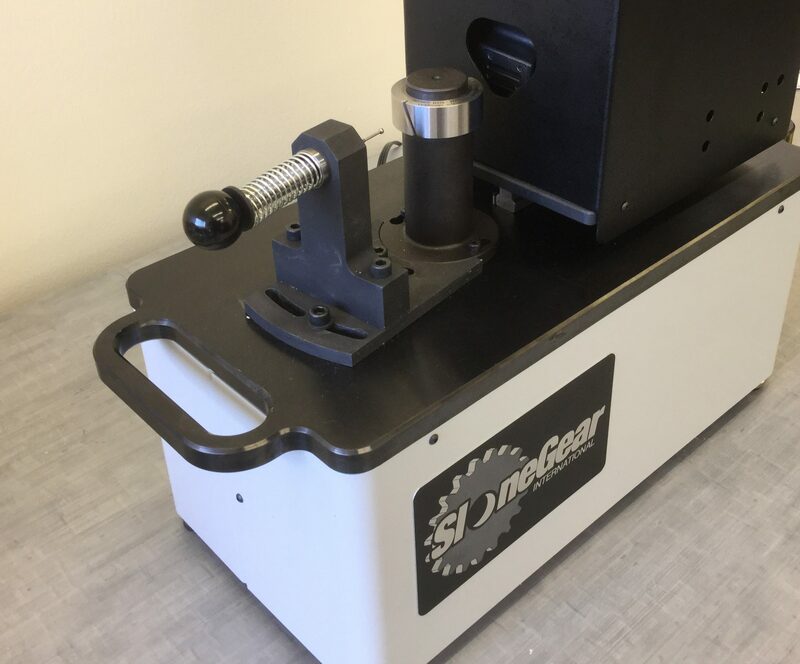 With today’s improvements in laser technology, along with the increased speed of computers and new proprietary software tools, Slone Gear has developed an in-line solution — a non-contact, shop–floor hardened gage, which has led to new ways of approaching gear quality control. 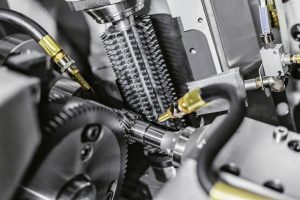 Previous attempts to use probing technology on the shop floor for gears have presented challenges due to dirt, temperature, and the sensitivity of the measurement systems themselves. The new GearVuTM system allows for shop floor stability because there are no moving parts during the gaging cycle. A component is placed on a location post, either by hand or with automation, and then the laser is triggered to take data. This revolutionary approach in visualizing the measurement data will help shop floor production employees communicate to supervisors and management with specificity about gear production defect issues without having to be gear experts. In pursuit of optimizing gear production quality control, Slone Gear has found a way to combine the latest in laser, software, and gear analysis technology to control the gear manufacturing process where the most waste and cost can be eliminated — on the production floor. Waste reduction through early detection is the key to maximizing the contribution dollars of a manufacturing operation. This next-generation laser technology provides faster, more efficient measurement in real time. The goal is reduced cost and no loss in production or inventory. 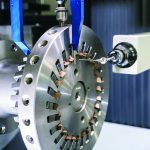 Designs have been created for automatic gear inspection utilizing this new technology on high-production gear grinders currently in the market. 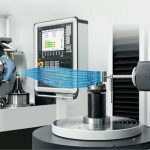 The optimal place to measure a part is on the machine that manufactures the part, and that is now possible with this technology. 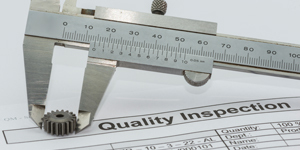 A quality evaluation can happen as soon as the part is placed on the laser system. This eliminates baskets full of components that are rejected at the point of production but still continue along the manufacturing process, adding unnecessary cost and filling up scrap bins. Due to the non-contact nature of lasers, it is conceivable that they will surpass the use of probes for high-accuracy gear form measurements on the shop floor. 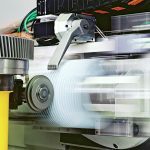 The laser technology is constantly advancing and will be used to a greater extent on the shop floor in the coming years. 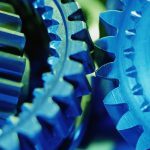 Slone Gear, however, isn’t just looking at the technical aspects of gear measurement. With a new generation of engineers and machine operators coming into play, experience is at a premium, and the company offers technical support based on many years of experience solving problems that are specific to gear manufacturers. 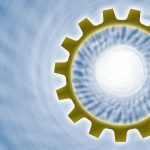 Moving forward, Slone Gear will be harnessing the power of the laser and coupling it with innovative software and a dedicated team to change the way gears are going to be measured today and in the future. 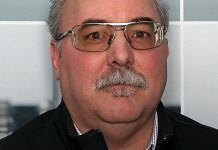 VP of technology at Slone Gear, brings over 35 years of gear experience in the aircraft and automotive industries. He graduated with a Bachelor of Science in Aeronautical Engineering from Purdue University. 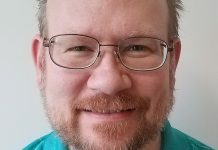 His experience includes design, manufacturing, inspection, and NVH analysis. Warns also brings a vast experience from a user perspective, which will facilitate the development of new products.